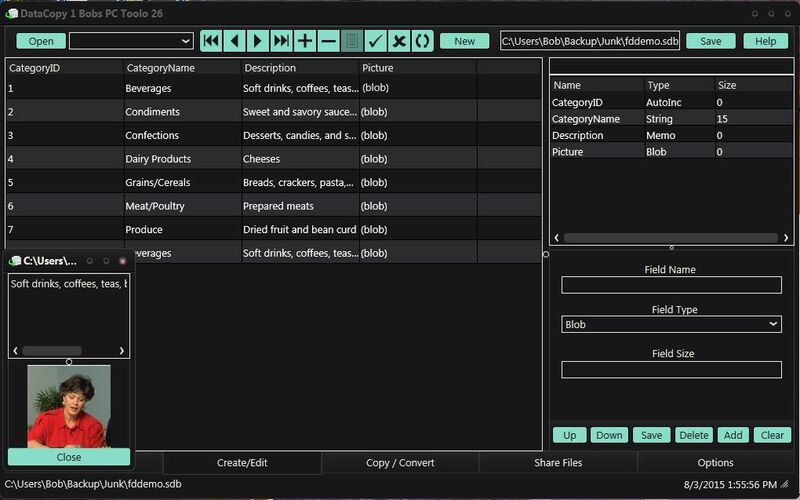 Data Copy is a multipurpose Database Copy Utility. The Database File Copier will Copy data from selected fields and records between DataSnap, DBExpress, Access, and Excel Files. 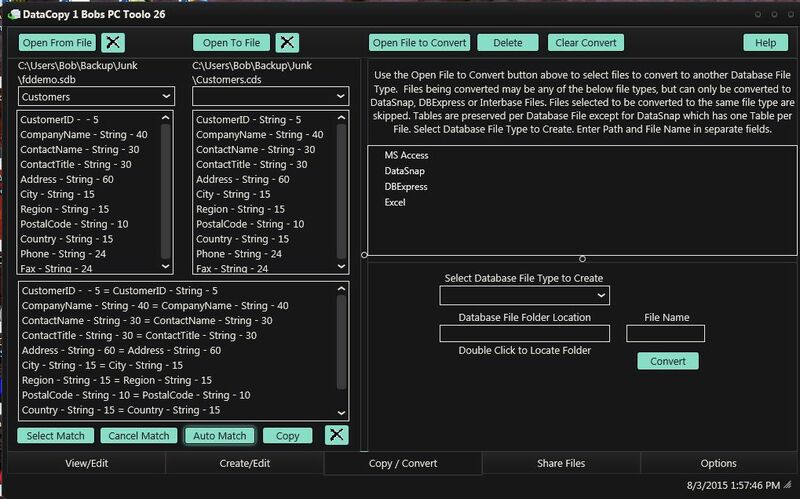 There are Database File Utilities such as Create, Design, Browse, Delete, Copy, Save and Send over the Internet. Supports DataSnap, DBExpress, Access, and Excel Files. 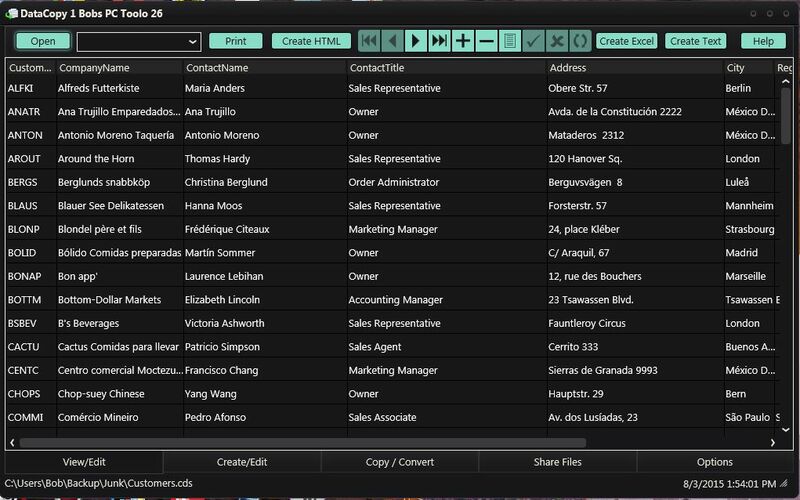 Create HTML, Text, or Excel File from any table Viewed. Send and Receive Database Files over the Internet by E-Mail. Additional features as Copy File Formats between DataSnap, DBExpress, Access, and Excel Files with Table Data. Find Document, Database, and Spread Sheet Files using the OpenDialog Window..
Design, Create or Change DataSnap, DBExpress, and Excel Tables. Convert between DataSnap, DBExpress, Access, Excel and Text Files. Supports Windows XP, Windows Vista, Windows Server 2003, and Windows 7, Windows 8 and Windows 10.